Helping clients overcome debilitating emotional trauma is a significant part of professional change work and coaching. Newcastle trauma resolution change professional Hypnotherapy Newcastle Nigel Hetherington uses several tools and techniques that originate in NLP and Hypnotherapy to assist clients to move through and let go of emotional trauma. Trauma Resolutions training in Newcastle Eye Movement Integration Plus is a two day experiential training that is specifically designed to teach easy to learn and very powerful ways to dissolve emotional trauma. The training is designed both for people who are already working as change professionals and people who are developing and nurturing the kinds of skills necessary to help people who have experienced emotional trauma. Firmly based in the Andreas’s NLP Eye Movement Integration with the addition of specific breathing patterns and irrelevant humour this training is an excellent addition to anyone’s toolkit. Go to the emiplus website and very easily enter your name and email and immediately download nearly 6 hours of footage FREE from the latest EMIPlus training in Newcastle upon Tyne. A Trauma Resolution Workshop by consultant Newcastle hypnotherapist Nigel Hetherington for Therapists, Counsellors, Hypnotherapists, Social Workers, Doctors, Nurses, Police and all People Helpers working with client trauma. Using Eye Movement Integration and Generative Change Techniques. A Brief Therapy and Solution Focused approach to working with Trauma. This workshop run by Nigel Hetherington takes place in Newcastle upon Tyne, October 13-14 and is excellent value at only £80. NLP Eye Movement Integration, developed by Steve and Connirae Andreas is one of the most effective and content free way of helping your clients dissolve the terrible and unwanted emotions related to trauma. Eye Movement Integration is a very brief and content free process for resolving psychological traumas such as PTSD, intrusive memories, shame, guilt and other kinds of undesirable emotional and identity imprints. EMI is really quite easy to learn and use. As a counsellor, therapist or anyone who is working with client trauma, you want proven and recognised ways to help your clients out of the black emotional cloud of pain and suffering as rapidly and as ecologically as possible. Your clients are typically coming to see you because they are experiencing some form of emotional pain. All of the emotional states discussed above can be successfully treated and neutralised with Eye Movement Integration. The two day workshop costs £80 and naturally has limited places. 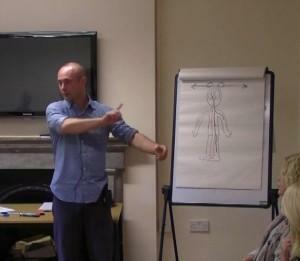 NLP Training Newcastle upon Tyne. This is a fully Certified NLP Practitioner Training over 9 days that will give you valuable hands on tools to change the way you communicate with yourself and others so that you can effectively motivate, influence and learn new skills. The valuable and powerful nine day training is only £595. This is the very best value NLP Practitioner in the UK. It is this price because now you require total value for your money and because Communicating Excellence are dedicated to the success of the people in our North East community. An Excellent Pace Course – Specifically for those of us who are parents or teachers and can only do an NLP training in the school holidays because weekends are too precious. An NLP Practitioner training specifically for parents and teachers and those of us who can only commit to a Newcastle NLP Practitioner training during the school holidays. This training with Communicating Excellence is taking place during the 2012 UK school holidays from July to September. 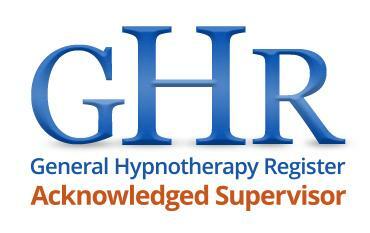 Nine days training and experiential learning from July 3oth until August 15th. Monday to Wednesday each week over three weeks. Exceptional value at £595 which includes your SNLP certification. This is also the last NLP Practitioner training from Communicating Excellence of this year before the August Clinical Hypnotherapy training course beginning. 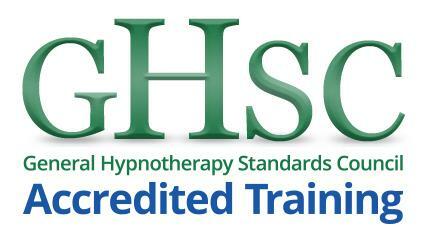 So if you want to become a certified clinical hypnotherapist by December this year this is the course for you. Personal and Professional Evolution and Development. On a personal or professional level maybe you don’t know how to get the results you desire or you feel stuck, unable to change the way you think and feel. It may even seem like you are going round in circles chasing your tail. Now as never before it is necessary to be able to able to make yourself understood at the personal and professional level. To be able to connect and to effectively influence. Its a real skill to understand and grasp new concepts quickly from others and to be able to communicate at all levels of human values and beliefs. Whether you are considering NLP for personal or professional or a combination of the both, NLP will increase your ability to communicate much more effectively. This means your ability to quite literally speak and hear the deeper sensory specific language we all use will increase. Will Increase Your Interpersonal Skills through a series of structured and cross contextual exercises. Gaining additional confidence and perspectives of your own, you will be developing further and additional abilities as you are working with others. Working with others to facilitate coaching and change processes will give you the confidence and competence to work with a variety of people and ultimately, being more able to guide yourself towards your own outcomes in honest ethical ways. Learn how your brain works and learn how to make your brain work for you. Many of the skills and models in NLP come from the structure of people’s subjective experience. You wont be surprised to know your brain and its workings are unique to you. But, specifically, how your brain does this has a structure. Part of using and learning to facilitate NLP techniques with other’s is having the experiences yourself. Here you may learn techniques that will make you feel different about things that have worried you or made you anxious for example public speaking or self sabotaging self talk. You will also learn how to optimise your thinking and actions to more fully support you in attaining your goals and outcomes. This training is experiential and practical. With these trainings, there is an emphasis in fun in learning. Exceptional value at £595 including certification fee. For personal and professional development in very affective communication. Learn Coaching and Therapist techniques for change. Jesmond Dene Conference Centre, Jesmond Dene, Newcastle upon Tyne. This training is hands on, interactive and fun. You’ll leave with new skills and understandings that will serve you well in all aspects of your life. 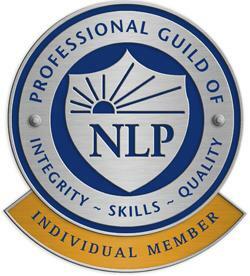 You will receive a world recognised Society of NLP [ SNLP ] Certificate. Book yourself a place right now using the link below. Secure booking and £150 deposit to guarantee your place. 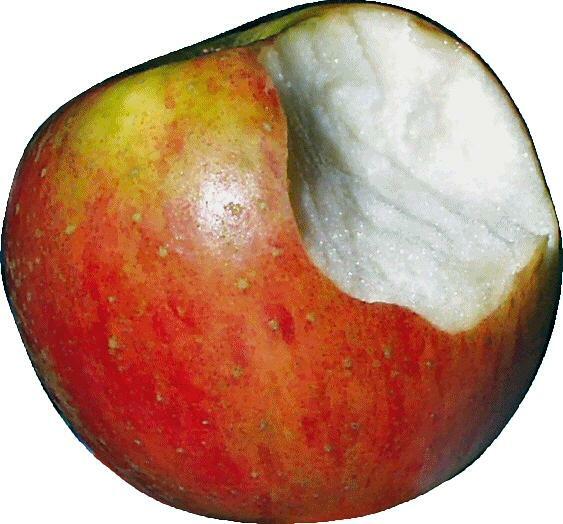 Your deposit is non returnable. Should you be unable to attend this course your deposit will be moved to the next training course that suits you. See you at this next NLP Practitioner Training in Newcastle upon Tyne in July and August. The Improvisation weekend. Fun packed and very engaging. Venue: Newcastle upon Tyne – Fitness Training Consortium. 12 Days experiential training that is certified by The SNLP. Only £595. Way for working with even the most serious client trauma. 15 3 Fully Booked. Next training in EMIPlus 2012. Venue: Jesmond Dene Conference Centre, Newcastle upon Tyne. Story of spiritual practice with four meditations. Over 90 minutes. Click to purchase and get your download link. A Trauma Resolution Workshop for Therapists, Counsellors, Hypnotherapists, Social Workers, Doctors, Nurses, Police and all People Helpers working with client trauma. Using Eye Movement Integration and Generative Change Techniques. A Brief Therapy and Solution Focused approach to working with Trauma. Practically every change professional will work with client trauma in varying degrees. As a coach you need to have the tools to remove emotional bocks. As a therapist you will need to be able to robustly remove and dissolve client trauma. As a social worker or counsellor wouldn’t you like to help your clients quickly and safely move on from serious emotional episodes without all the pain or talking about this again and again? This is a much quicker, content free and client centred approach than CBT. Eye Movement Integration is a very brief and content free process for resolving psychological traumas such as PTSD, intrusive memories, shame, guilt and other kinds undesirable emotional and identity imprints. Most people during their life time have had experiences that have been traumatic, painful or negatively emotionally charged. These experiences, all kinds of problematic responses to past events, are all part of the rich tapestry of life and commonly know as Trauma, Grief, Guilt, PTSD, Shame. Usually the intensity of the experience fades in time and people are OK. This is a robust process where it is absolutely unnecessary to become emotionally involved in your clients pain. This way you can run process and work rapidly towards helping your clients out of their pain whilst being compassionate. But other times there are one, two or more memories that just seem to pop up from nowhere or surface unannounced and then all the unwanted emotional energy is there. Its painful, unpleasant and unwanted. And very often, people suffer for long periods of time, way longer than is actually necessary. As a counsellor, therapist or anyone who is working with client trauma, you want proven and recognised ways to help your clients out of the black emotional cloud of pain and suffering as rapidly and as ecologically as possible. Your clients are typically coming to see you because they are experiencing some form of emotional pain. All of the emotional states discussed above can be successfully treated and neutralised with Eye Movement Integration. EMI is not EMDR. You do not need to belong to an elite group or have to pay thousands of pounds to use this Brief Therapy method. EMI is a tiny, tiny fraction of the cost of EMDR training and is applied with precision and skills by the EMI practitioner, surprisingly easy to learn and a particularly robust clinical process. Eye Movement Integration was developed by Steve and Connirae Andreas in America in 1989. Watch Steve Andreas Demonstrate this process with a Vietnam Veteran. The Neuro Linguistic Eye Accessing Model states when someone ‘thinks’, their eyes will typically move in some sequence. The sequence of unconscious eye movements will give clues and cues to how they are thinking. There is often a ‘sequence’ of eye movements ( and certain physiology ) when a person re-experiences troublesome and problematic memories. As a person moves their eyes, their eye movement access specific brain locations and brain processing functions. Parts of the brain that are know to be active when we re-access memories overlap spatially, for example the auditory and visual cortex and as well the different processing functions integrate memory components to produce a full and integrated sensory experience of some memory. By linking the full array of possible eye movements ( or a sub set ) when the client is associated into their undesired state, through eye movement sequences we intend to make all the clients neurological resources available to them to remove or neutralise all negatively charged emotional response to their problem emotional state. This Trauma Resolution Workshop is an absolute must for Clinicians, Therapists, Counsellors, Hypnotherapists, Social Workers, Doctors, Nurses, Police and all People Helpers. Who Will Want To Attend This Workshop? This two day Trauma Resolution weekend workshop is designed for Clinicians, Therapists, Counsellors, Hypnotherapists, Social Workers, Doctors, Nurses, Police and all People Helpers who can then use these process based neurological methods to assist their clients neutralise traumatic memories and move into into much more resourceful states. Having completed this workshop you will be able to implement EMI as an integral part of your own work either in isolation or as a complementary aspect of your own clinical work. You will have a structured therapy process to facilitate your clients to eliminate most psychological trauma and traumatic memories in 1-2 two hour sessions in a structured and methodical way. The result is you will have more referrals from delighted clients and you will increase your understanding of ecological and systemic change processes. And by increasing your effectiveness, you will also be able to treat more clients in the same time more effectively. The next EMI Workshop takes place on 16-17 October 2010 in Newcastle upon Tyne. All participants will receive a full workshop manual detailing all theory and exercises. The two day workshop costs £125 and has strictly limited places to ensure all participants receive all required individual attention.